A fundraising campaign for Boys & Girls Clubs of the Los Angeles Harbor. 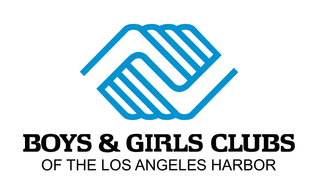 For 81 years, the Boys & Girls Clubs of the Los Angeles Harbor has been supporting youth by providing Pathways to Success through our comprehensive programming and services, including academic enrichment, College Bound, visual and performing arts, Career Bound, specialized STEM curriculum, athletics, and leadership. While any youth may participate, we prioritize “those who need us most.” In this time of giving, we ask you to please consider supporting our work with an investment that will help sustain and grow our successful pathways. Like I always say: “Our Club members do not need a hand-out – they just need a helping hand!” By donating, you will be that “helping hand” and create many opportunities for better lives. Thank you in advance for your consideration. We wish you and yours a most wonderful holiday season and a happy and healthy 2019! The Boys & Girls Clubs of the Los Angeles Harbor provides a comprehensive range of programs and services to over 2,600 youth per day. Our programs include tutoring and homework help, college and career preparation, leadership development, music, dance, robotics, STEM, arts, and athletics. The Club provides youth across our 18 sites with the tools, guidance, and inspiration to develop their talents and create great futures.